�Samson� is a Rough Coat male that stands an official 33 1/2 inches and weighs 200 lbs. 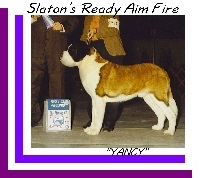 Samson has won 6 Winner's Dog, 2 Best of Opposite and 4 Best of Breed. He was trained, groomed and Handled by Shawna Akers. 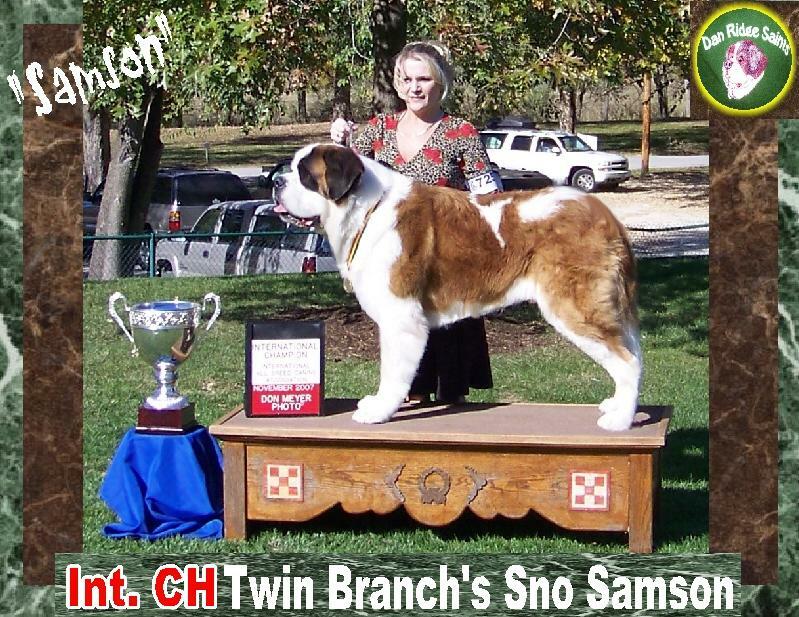 Samson finished his International Championship November 3rd and 4th 2007 at Purina Farms in Missouri. 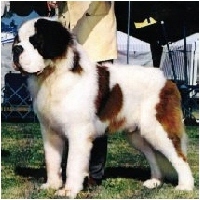 He has won several AKC Shows and is Pointed toward his AKC Championship. 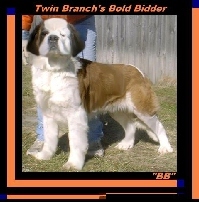 Samson was bred by Brenda McWhorter with Twin Branch Saints. 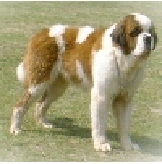 He is now retired and placed back with his breeder. CLICK 4 Samson�s Championship video. 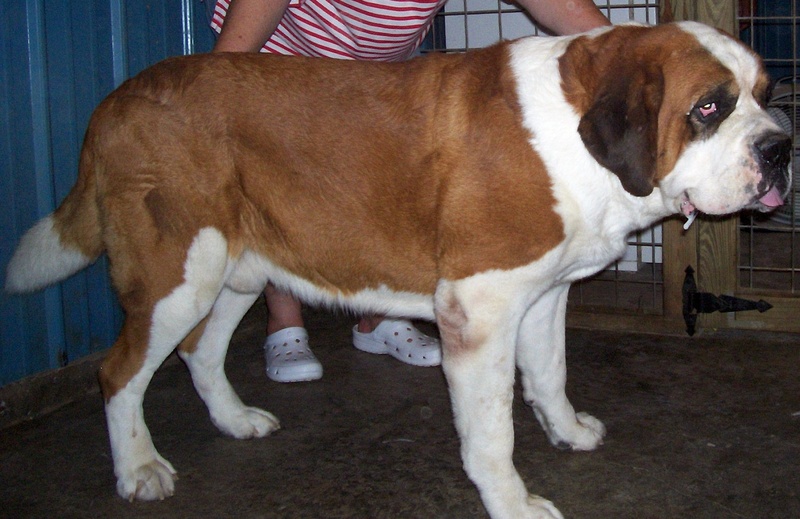 "DESTINY" is a Rough Coat and weighed 150 lbs at only 12 months old. 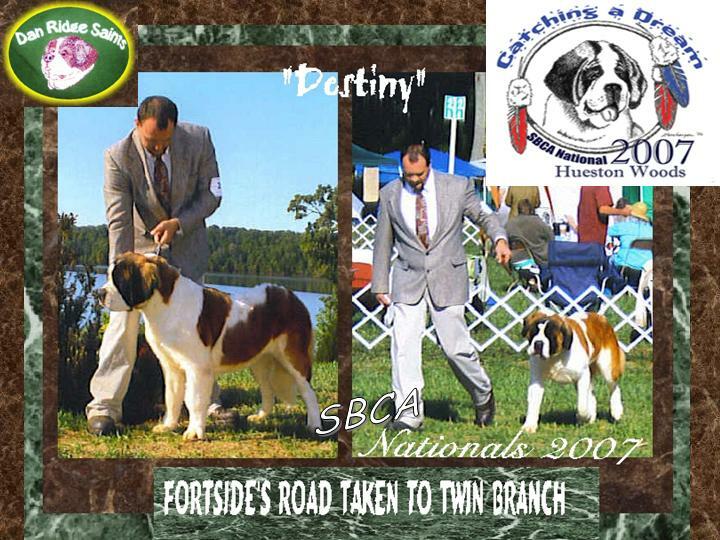 Destiny turned in a solid performance at the 2007 St Bernard Club of America's Nationals in Ohio. At 14 months she finished her National Championship and International Championship November 3rd and 4th 2007 at Purina Farms in Missouri. 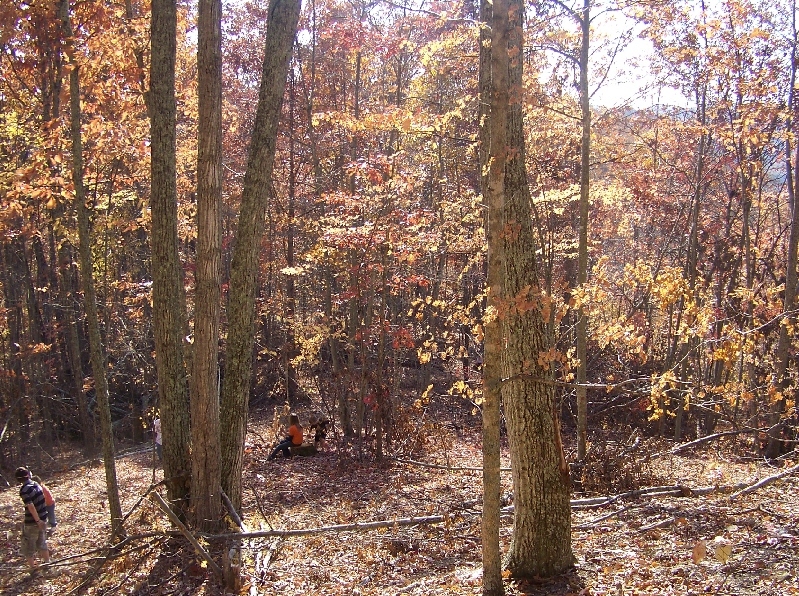 She was trained, groomed and handled by Paul and Shawna Akers. 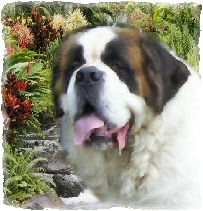 Destiny is the paternal aunt to our Int Ch Sunnie and great aunt to our Big John. 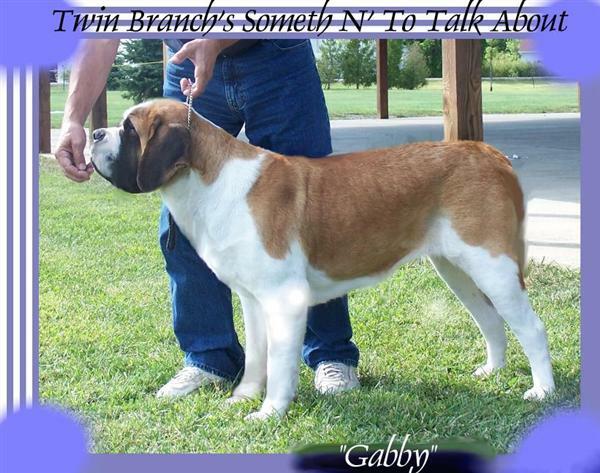 Destiny is placed back with her breeder Brenda McWhorter with Twin Branch Saints. CLICK 4 Destiny�s Championship video. 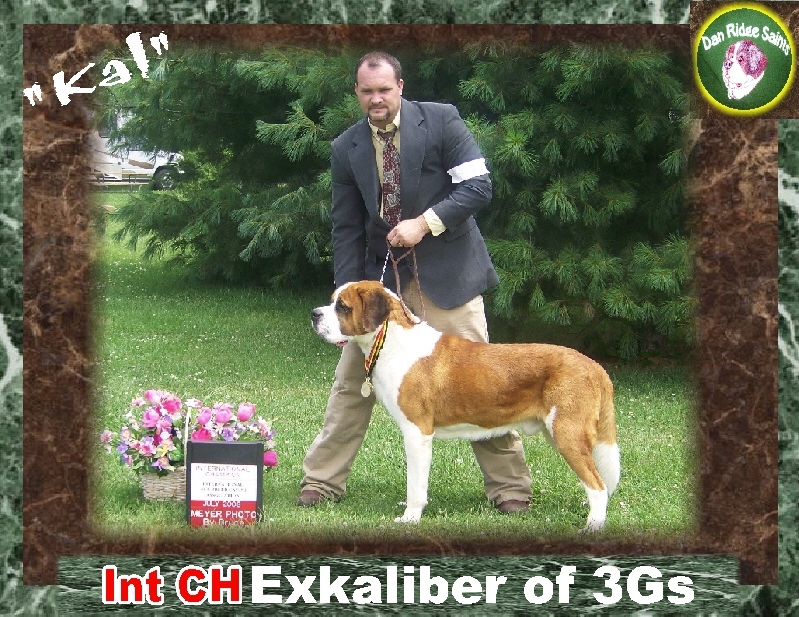 "KAL" finished his International Championship on July 13, 2008. Among his winnings, 4 Best of Breeds. 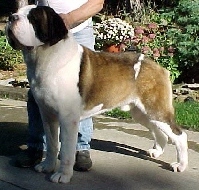 He was trained, groomed & handled by Paul and Shawna Akers and Bred by Helen Grammer with Grammer's Gentle Giants. This short haired male�s sire is from Twin Branch. Kal is now enjoying the retired life and was placed back with his breeder. CLICK 4 Kal�s Championship video. 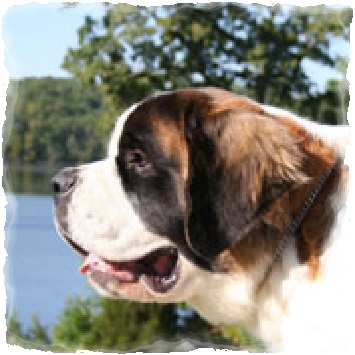 �Sunnie� is a Smooth Coat and weighed 130 lbs at only 8 months old. She finished her National Championship and International Championship November 3rd and 4th 2007 at Purina Farms in Missouri. 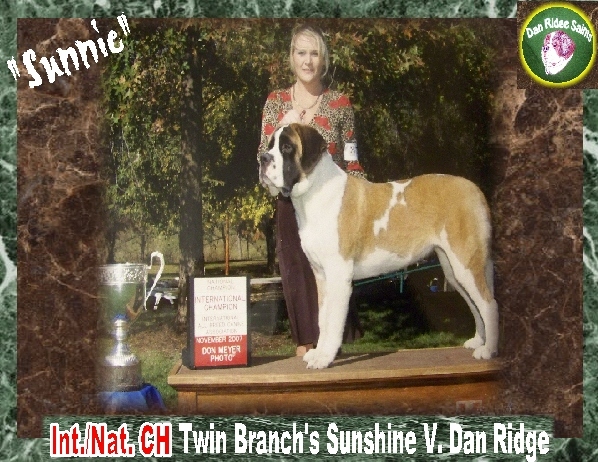 Sunnie has won a couple of points toward her AKC American Championship. Lord willing we plan to finish her in 2009. Sunnie is trained, groomed and handled by Shawna Akers. 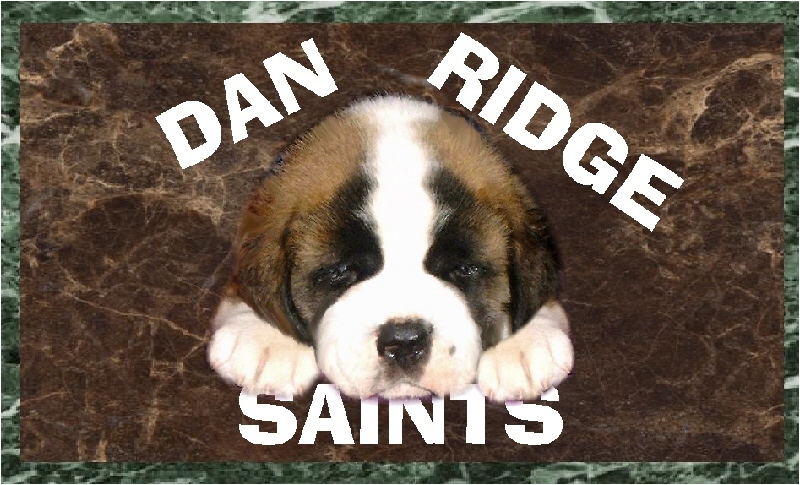 Dan Ridge Saints co-owns Sunnie with her breeder and our MentorBrenda McWhorter with Twin Branch Saints. For more info on Sunnie click here. 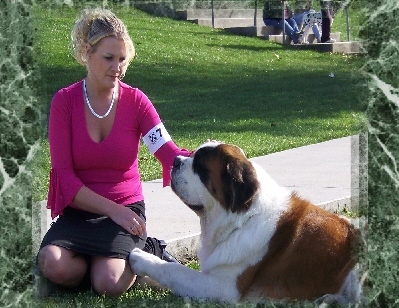 "BEKKA" finished her International and National Championship on July 13, 2008. Amoung her winnings thus far, one Working Group 1, two Working Group 2, one Working Group 3 and 5 Best of Breeds. Groomed, trained & handled by Paul and Shawna Akers and Bred by Joe and Shirley Wolf with Slaton's Saints. For more info on Bekka click here.